Growing up a child of many Christians, I have seen and heard many stories about the Birth of the Messiah. There isn’t a whole lot of variation, so I had no expectation for this one to be very different. I was, however, pleasantly surprised at how the story was told differently. 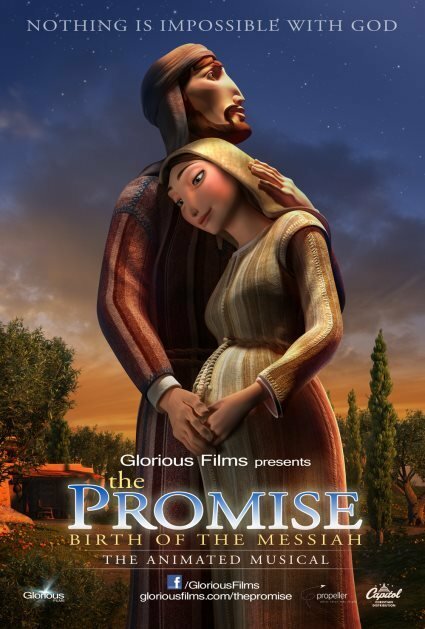 The Promise told the beautiful story differently than I’ve ever heard it before and did it so very well! I love the way they told the story, starting with when Mary and Joseph were getting to know each other. Not an aspect I had ever really thought about before, much less seen played out! The movie is full of cute little songs that make one want to sign along and I love that the story is told so beautifully. Especially the funny bits that are thrown in via the animation. Just enough to keep the kids attention but not so much that it would take away from God’s story. Overall, I feel like the Promise is a wonderful telling of the great story and if you like musicals, or just have children, you’ll want to add this to your movie collection. I feel like it will become a classic, one we must watch every year to remind us of the True meaning of Christmas.